In many Buddhist practices, in particular the yidam or deity practices, toward the end of the practice we rest for a moment in the nature of the mind or try to, but until we actually have recognized the true nature of the mind, we are just going through the motions. That's what practice is. Any study of advanced Tibetan Buddhist texts quickly shows that recognizing the true nature of the mind is not only essential, it is pretty much the only game in town. Everything seems to funnel down to that recognition, so it pays us to at least to understand and have this event on our radar screen. Recognizing the true nature of the mind, what is called ordinary mind or "tamal gyi shepa" in Tibetan, is nothing other than becoming aware of our ordinary mind that has always been there. Like our awareness of air or breathing, the true nature of the mind is something constantly with us, but apparently continually ignored. It is so close to us we just never see it -- that kind of thing. For probably a multitude of reasons we have always been separated from that simple awareness of the mind itself that is our birthright. Instead of identifying with it, we succeed in ignoring the obvious and remain numb in regard to it. 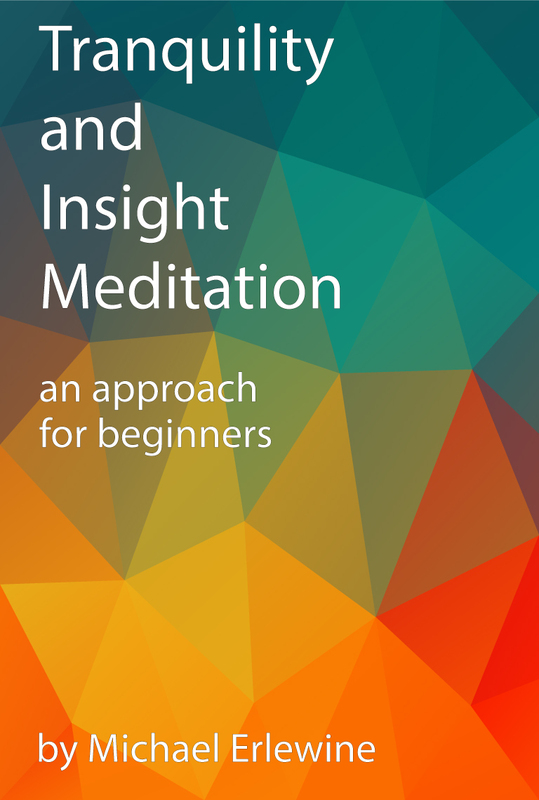 As we continue to practice meditation (after gaining some control of Tranquility meditation) and begin to entertain aspects of Insight meditation, it becomes the task of our teacher and instructor to point out to us (and jar us loose from) our habitual distraction and point us toward seeing the actual nature of the mind. Obviously, this is not an easy task or we would all be father along on our way toward enlightenment by now. Perhaps "pointing out" is like laser eye-surgery, our ability to see our own nature needs to be enabled. It becomes the job of our guru and teacher, perhaps like an eye surgeon in cataract removal, to help us eliminate enough obscurations until the true nature of the mind snaps into view and we can finally just see it as it is. Such a delicate operation as this is beyond the scope of anyone but a highly trained and compassionate lama, someone who will work with us, warts and all, until we actually recognize the true nature of the mind. Yes, meditation is going secular, but money can't buy what it takes to succeed in this kind of operation. We would have to have commercial instructors with skills at the level of brain surgeons to carry this off. Right now they don't exist, but it is no doubt they will come in time. Right now, the few highly-trained lamas who can successfully point out the nature of the mind don't charge anything. These lamas do it out of compassion and dedication to the dharma, helping as best they can any being move toward enlightenment. That is a hard act to follow, especially if the only reward wanted is money. In text after ancient text, the great enlightened teachers make clear that the chances of our pointing out the nature of our mind to ourselves is about zero to none. "Pointing Out" is a very delicate operation that requires a teacher who has seen the nature of their own mind AND can successfully point it out to another, and who would take the trouble to do this. Moreover, what are the chances that we can find such a teacher, a true midwife of the sprit that can also handle our particular personality and make that recognition possible? Who would be willing to? As I see it, there is a real bottleneck here with innumerable practitioners in Limbo-land waiting to find a teacher who can successfully tweak them so that they recognize the true nature of the mind. I certainly am not aware of ALL the qualified teachers out there who have mastered this, but even within the Buddhist lineage I belong to, the Karma Kagyu, there are not all that many lamas I am aware of who regularly offer the pointing-out instructions. And even if they do, we students have to be ready to receive the instructions successfully. In my own case, I have been studying and practicing Mahamudra meditation for 25 years, including 10-day intensives each year, plus having the pointing out instructions given to me three separate times before I got any results at all. Perhaps it is just me, but it was only on the third pointing out that I even got a small glimpse of the mind's nature. As the vernacular has it, "I am just saying…"
My point is that the pointing-out instructions are very, very subtle and those who can offer them successfully very rare. I feel it is important that those of us who are studying dharma understand what the "pointing out" instructions are about.